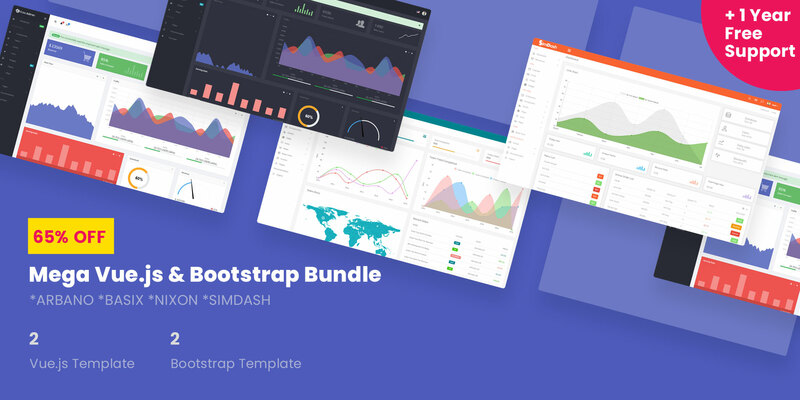 Vue.js and Bootstrap 4 are used to Develop this Vuestic Free Dashboard Template. It has 36 custom Elements, 18 Pages and 18 Custom Font Icons. 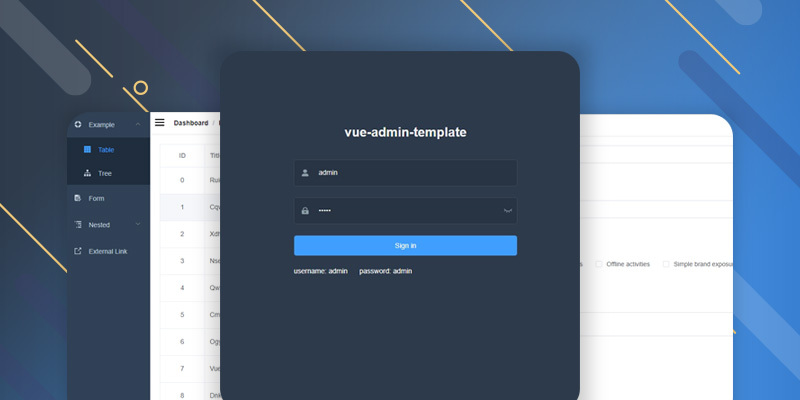 It’s fully Responsive Vue.js Admin Template with jQuery free Development. It supports Latest Chrome, Firefox, Safari, Microsoft edge and Internet Explorer 11+. At least 4.x Node.js version but 8.x is recommended to work. npm version 3+ and Git. 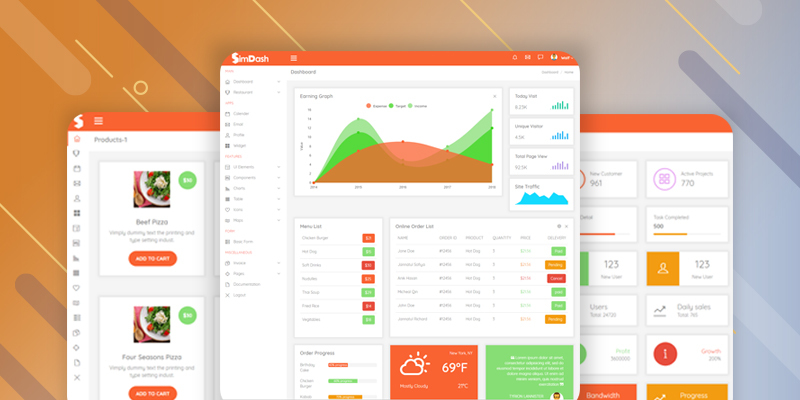 SimDash a perfect Admin Dashboard Template to manage your Hotel, Restaurant or any type of business. It comes with a built in Restaurant Dashboard version. 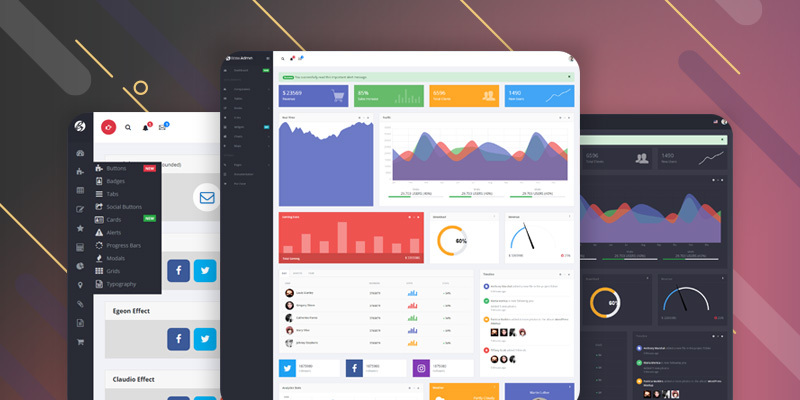 It's the perfect choice for those who loves to maintain Client or Stuff details in a online admin panel. It provides a lot of Elements, Charts, Forms, Maps, Tables, Invoice styles. It has a free version too. By default the sidebar nav is visible but it can be hide when someone clicks in the menu icon. You can highlight an important message in the center of the header menu area. At the right side, it has profile, notification, message and language switcher option. 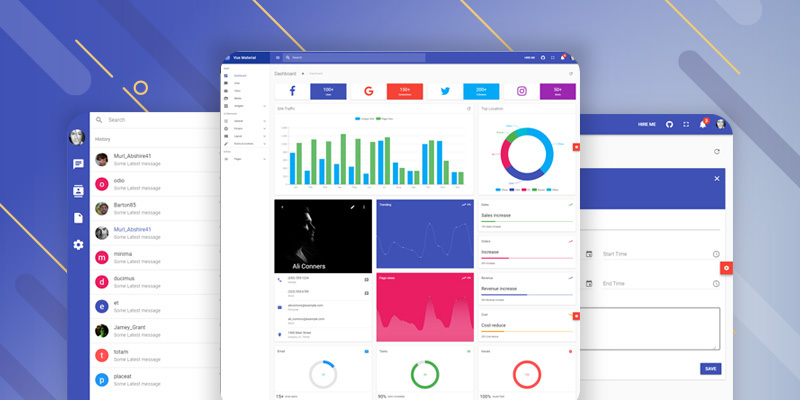 Dashboard: The dashboard is very net and clean. It has a pagination system inside section and it works perfectly. 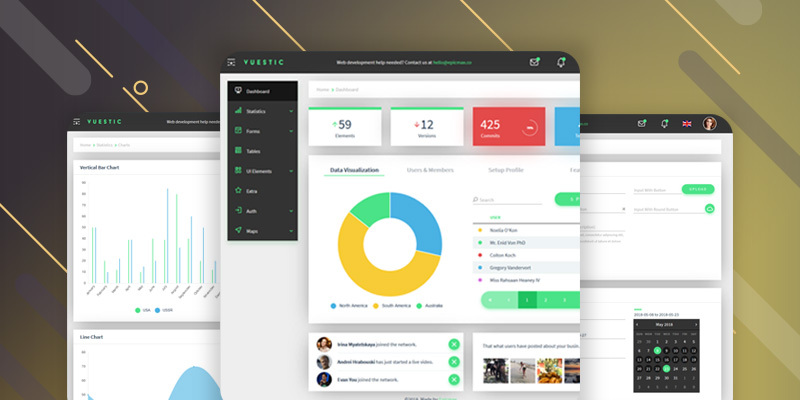 At first look, you may feel there are not so element in the homepage but I assure you that you can place an element in the dashboard from Statistic, Forms, Tables, UI Element section. Statistics: Statistics stand on chats and progress bars. There is 6 type of chart style which are ready for your use. And 6 type of progress bars in horizontal and vertical style. Forms: One of the most important parts of Web. Form helps to grab information from the user. Mostly all necessary type of forms is available like Text, Email, Text Area, Date, Calendar, Dropdown, Multi-select, Checkbox etc. Form Wizard is a popular system nowadays. The Template provides this wizard system. People use this form to create an online survey. 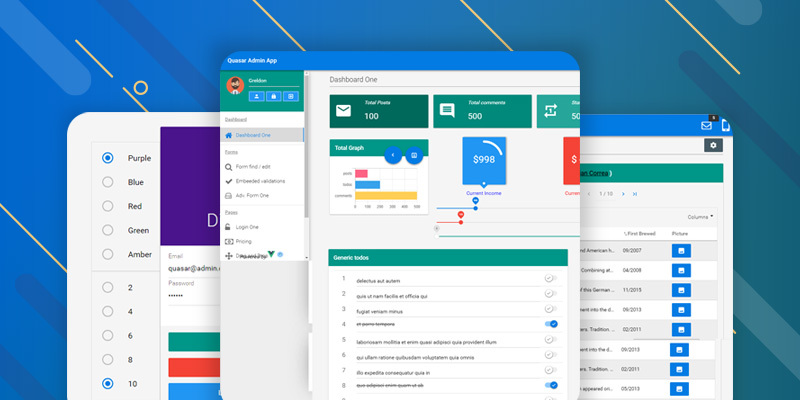 UI Elements: A website or Application stand on UI elements. In this app, it comes with different type of eye-catching UI Elements like Typography, Buttons, Color Pickers, Notifications, Icons, Spinners, Grid, Modals, File Upload, Tags, Tree View and Cards.